The New Year has jumpstarted already and the best resolution you can make for this 2017 is ensuring a better financial stability for yourself. Make safe investments that give adequate returns, plan daily and long-term expenses, secure funds for important things when necessary. In the pursuit of prospering your finances, you may require certain types of loans so that you do not lack economically in clenching your goals. Here are 5 types of loans that can help you stabilize or strengthen your finances this 2017. If you are self-employed and run a company, you may find the New Year a good time to expand your business. You may want to explore better trade opportunities and take advantage of trends that reflect your business goals. Requirement for a satisfactory economical support to achieve these possibilities can be fulfilled with a business loan from loanbaba.com. If you find it difficult to liquidate assets or get instant cash-support, then business loan will definitely help in providing a strong financial backing for your business plans. The 2017 year may surely hold a lot of surprises. Definitely you would like to lead your life into the New Year with enough monetary backing to satisfy any economical needs. Be it shopping, paying off debts, getting cash for travel plans, setting a start-up company, etc. you can apply for a personal loan as less as INR 1 lakh for securing any fiscal assistance. Financial emergencies can come up any moment and rupture economical stability if immediate cash support is unavailable. 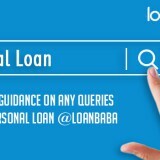 But, you need not worry as at loanbaba.com you can get small cash loan within 24 hours, and borrow up to INR 50K. The money is successfully credited to your bank account the very day. The New Year an also throw up many opportunities for education, be it a vocational or professional course in question. If you are a parent to someone, and your child shows brightness at any skill that can be honed, or his/her college or school fee is pending, then you can set the finances right for the purpose by taking a student loan from loanbaba.com. Like an instant cash loan, a small education loan up to INR 50K can aid in overcoming economical crisis hindering your child’s studies. Such short-term study loans can be easily repaid without affecting your finances. 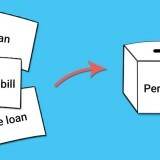 A mortgage loan or loan against property is a secured loan taken against a property you own. If you have special financial needs this 2017 that require monetary support, then taking a loan against property can help. 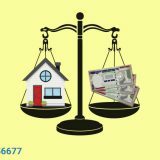 You can apply for a mortgage loan for end number of reasons, but at the same time, you need to adhere to a financial planning, so that the loan is repaid in time. The tenure for loan against property can extend to 15 years, so you can quit your worries, and repay the loan comfortably. How Does a Small Cash Loan Overthrow Debt Crisis?